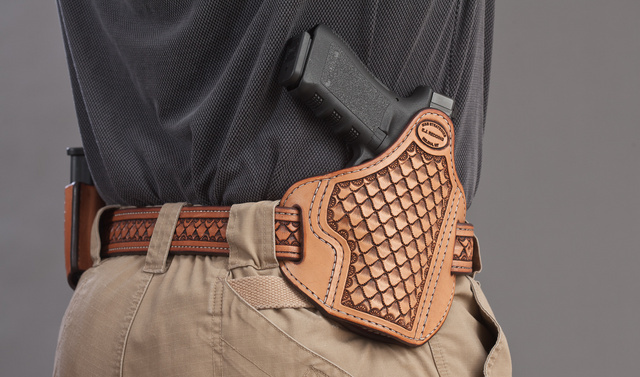 When I first saw this holster, I wondered why anyone would make a pretty holster for a completely utilitarian Glock.Then I got to shoot a new Gen.4 G19 at the range and the accuracy was enough to remind me. Reliable, accurate, lightweight — that’s beauty in its own right. 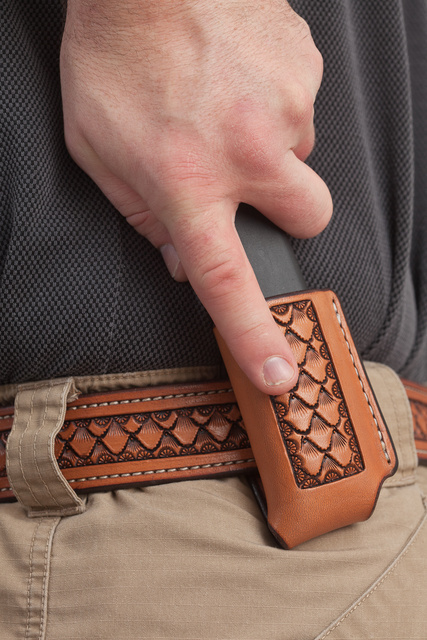 The holster holds the gun flat to the side, and the quality of work is pretty impressive. The leather isn’t fully boned but holds the shape well enough for one-handed re-holstering. The tooling is subdued enough not to come across as garish but still festive — and black details reduce the bright orange orange flash of the leather. EJ Redding does good work. This entry was posted in holster and tagged 9x19, Glock, leather. Bookmark the permalink. Ok, I have to ask. What is the cost? That is a NICE setup! Thank you for the plug Oleg! 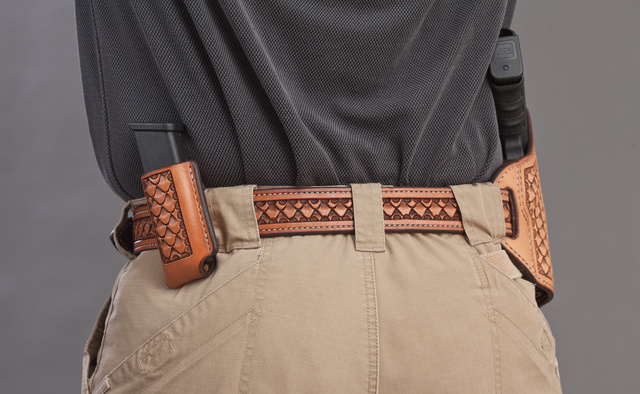 A holster and mag pouch of this style starts about $250. Add about another $150 for the matching belt.